Home » Tutorial » How to create page with slider? How to create page with slider? As you know you can add a slider within a page or post or even on a text widget very easily. When you create a slider you get shortcode that you can use. Even thought you might want to add a full width slider. Ad here is how it can be done. 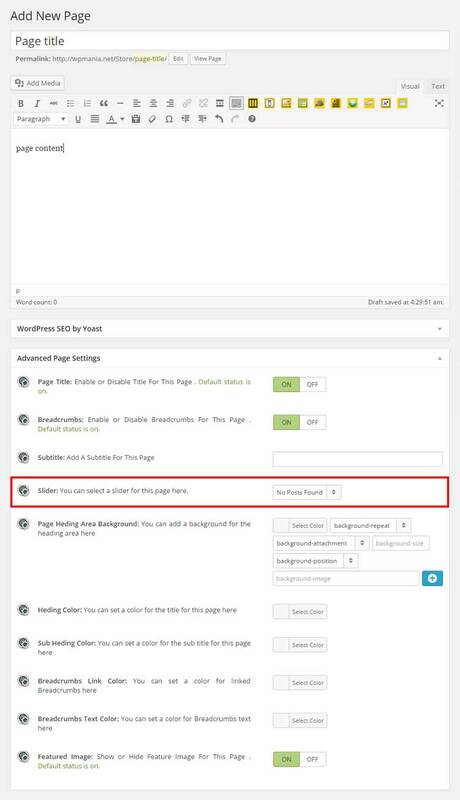 When you creating or editing a page there is a option called Advanced Page Settings. There you will be able to assign a existing slider for this page. Please check the following image. And now your page will have a cool slider above the fold like this one….